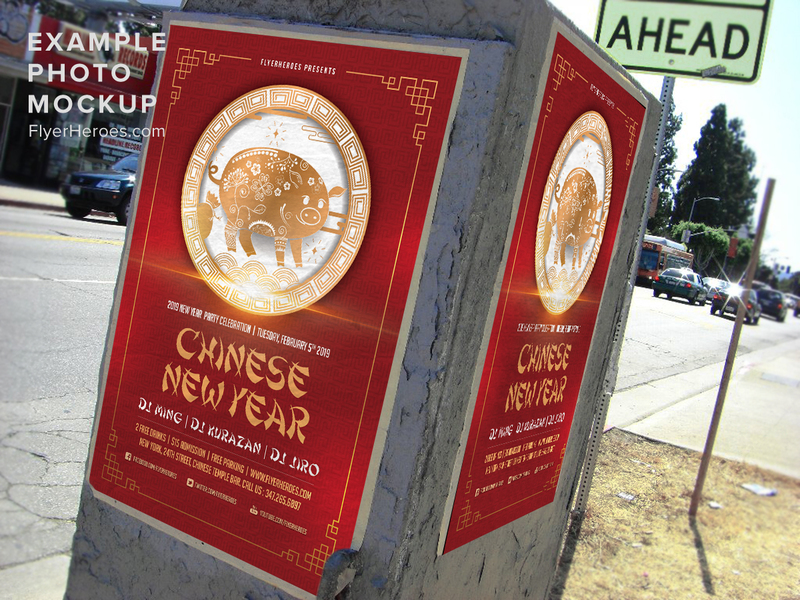 Celebrate the lunar new year with our Chinese New Year flyer! 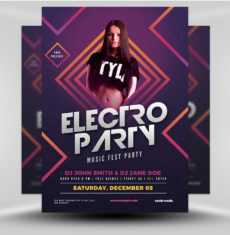 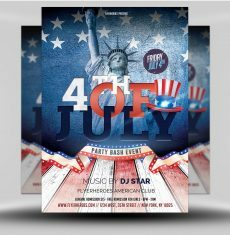 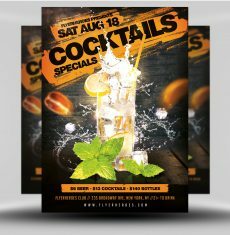 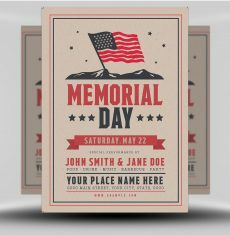 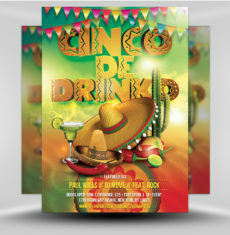 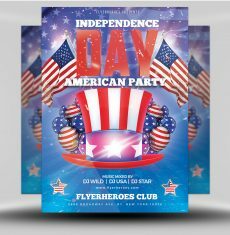 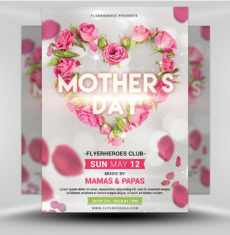 This flyer uses a beautiful, simple design so that your event is front and center. 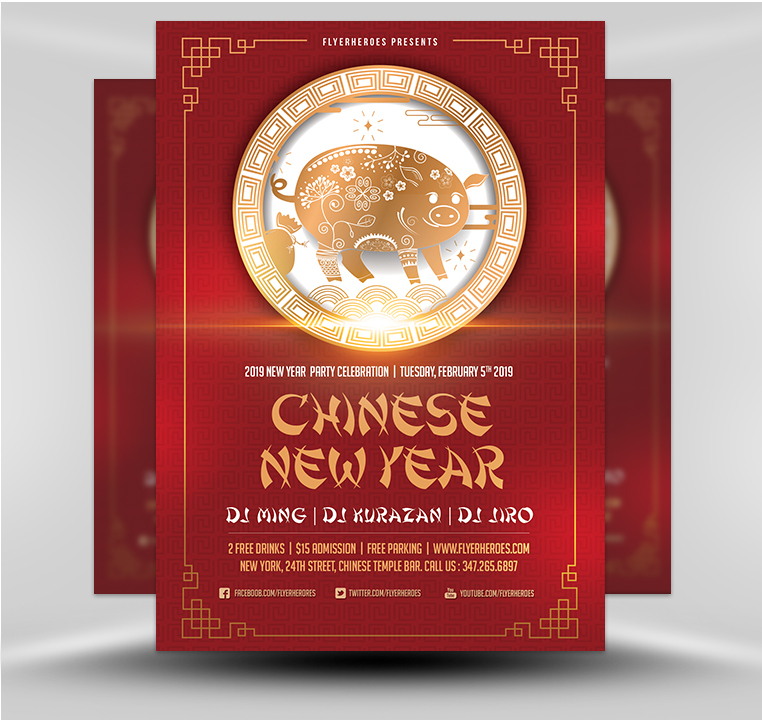 The dark red background provides a rich contrast for the gold and white of the event information. 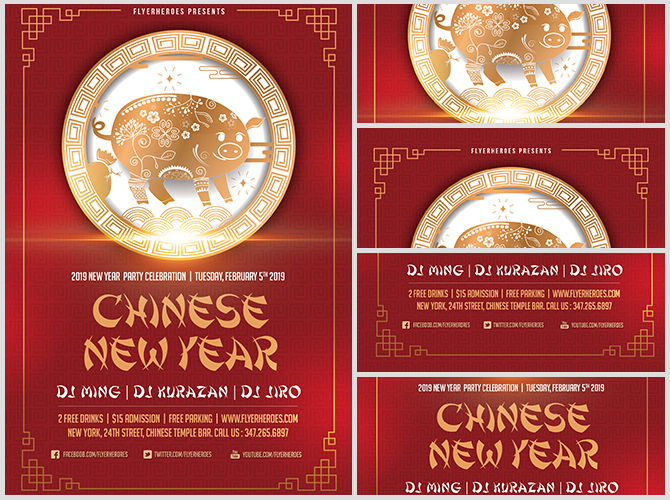 The central graphic is an intricately designed medallion in white and gold, with a gold pig at the center. 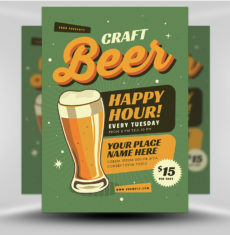 This design uses shadows and a lens flare to add a sense of depth, as well as a reflective quality. 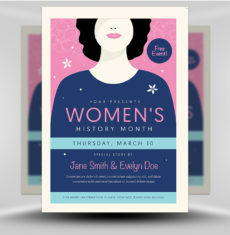 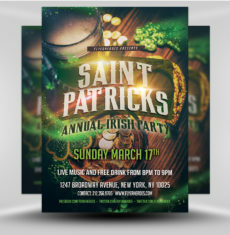 The event text is highly stylized, using the same white and gold. 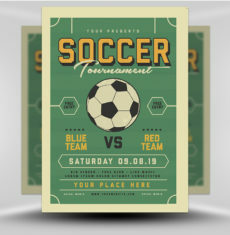 The entire design is outlined by a thin gold border with knotwork at each corner. 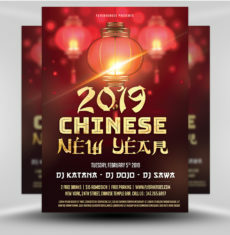 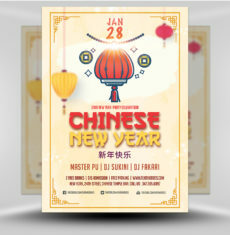 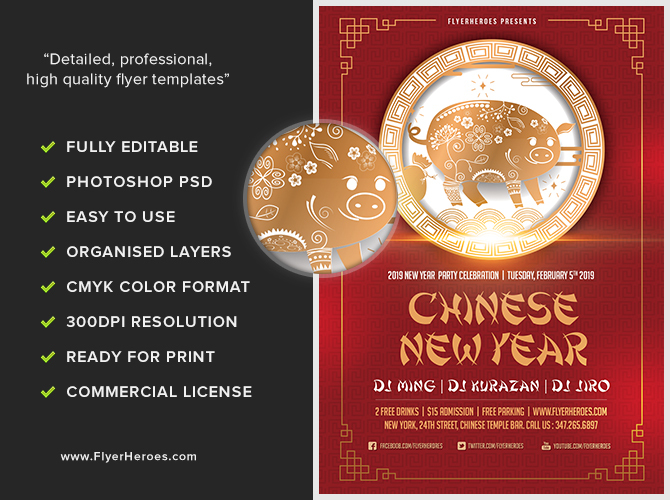 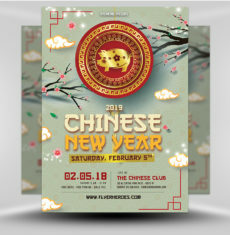 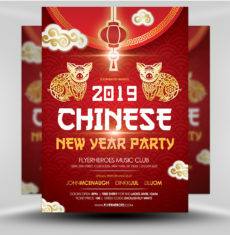 You can use this dynamic flyer for any Chinese New Year gathering!